Child Support Attorneys in Northern Virginia - Reed Law Firm, P.L.L.C. If you are seeking an award of child support, or if you have been served with a child support petition, our experienced family law attorneys can help. 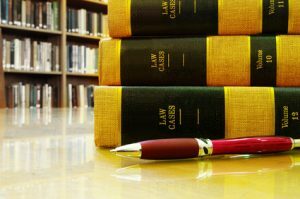 The process of calculating support and submitting evidence to the court in a way that is admissible can be difficult. Failure to properly argue your case may cost you thousands. In some cases, small differences can result in drastic changes to guideline support calculations. That’s why you need an attorney on your side who can help you make sense of the process. Our attorneys know the law and understand how to protect your interests in child support hearings. Child support is a legal obligation, ordered by a Court, to provide financial support for raising a child. In Virginia and most other states, parents have a legal and unavoidable duty to support their minor children. How long is child support paid in Virginia? Under Virginia law, child support shall continue to be paid until a child turn 18 years of age. However, child support shall continue to be paid for any child over 18 years of age, so long as he or she is (i) a full-time high school student, (ii) not self-supporting, and (iii) living in the home of a parent receiving support, until the child reaches age nineteen or graduates high school, which ever first occurs. The court may also order the continuation of support for any child over the age of 18 who is (i) severely and permanently mentally or physically disabled, (ii) unable to live independently and support himself, and (iii) resides in the home of the parent seeking or receiving child support. In addition, the court may confirm a stipulation or agreement of the parties which extends a child support obligation beyond when it would otherwise terminate as provided by law. In Virginia, the amount of child support to be paid is determined by a formula. In general, the formula produces a “guideline” child support calculation. This calculation is based on the relative incomes of the parties, the cost of work related daycare, and the cost of health insurance coverage. Unique situations involving self-employment or voluntary unemployment or underemployment of a parent may make guideline support calculations difficult. In the case of self-employment, credit can be given to the self-employed parent for the payment of self-employment tax. In the case of voluntary unemployment or underemployment, the court can impute income to a party who is found to be voluntarily unemployed, or underemployed. Can a court deviate from the guideline child support amount? In Virginia, the guideline child support amount is, by statute, the presumptive amount of child support to be paid, and the amount of child support determined by the application of the child support guidelines is binding upon the court. However, the Virginia statute allows the court to deviate from the presumptive guideline child support amount for “good cause” shown. In cases where the non-custodial parent has less than 90 days of visitation with the children, child support is calculated based on the sole custody child support guideline formula. What are “shared custody” support guidelines, and how does this affect the amount of child support to be paid? In cases where the non-custodial parent has the child for more than 90 days per year for visitation, child support is calculated using the “shared custody” formula, which is likely to reduce the child support amount paid by the non-custodial parent. Can a court enter orders concerning claiming a child for tax purposes, or maintaining life insurance, in a child support proceeding? Pursuant to statute, the court has jurisdiction in a child support proceeding to require a party to maintain an existing life insurance policy to provide financial security for a child in the event that the parent obligated to pay child support dies. This requirement to maintain life insurance may continue for so long as child support is payable. Additionally, in a child support proceeding, the court shall have the authority to and may, in its discretion, order one party to execute all appropriate tax forms or waivers to grant to the other party the right to take the income tax dependency exemption for any child or children of the parties for federal and state income tax purposes. For more information on this topic, and other family law related topics, please see our Family Law Frequently Asked Questions page. For more information on child support, and to obtain specific advice on the application of Virginia law to your situation, please contact us to schedule a consultation.